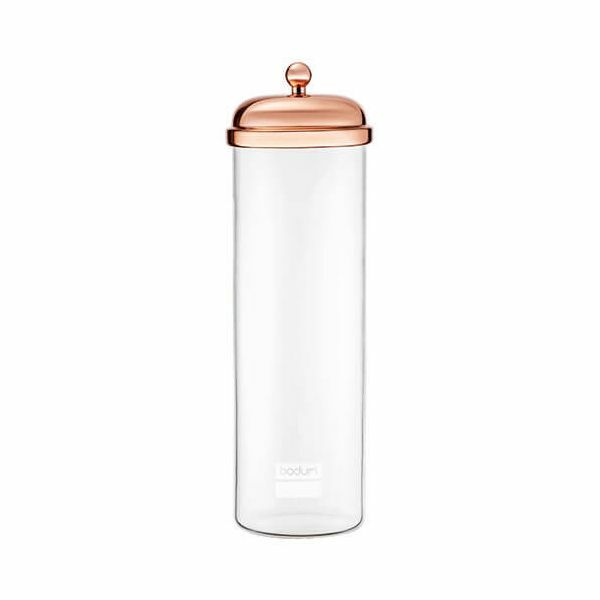 This 2 litre Bodum Classic Tall Storage Jar is made from borosilicate glass and features a strong and airtight copper lid with a rubber seal. Perfect for the storage of food like, dried fruits, biscuits, nuts and sweet in your kitchen cupboard or on display. Other uses around the home include storage for stationery, cosmetics and trinkets. This stylish Copper Classic Storage Jar looks great on display and can be matched with other Bodum storage jars in different sizes.